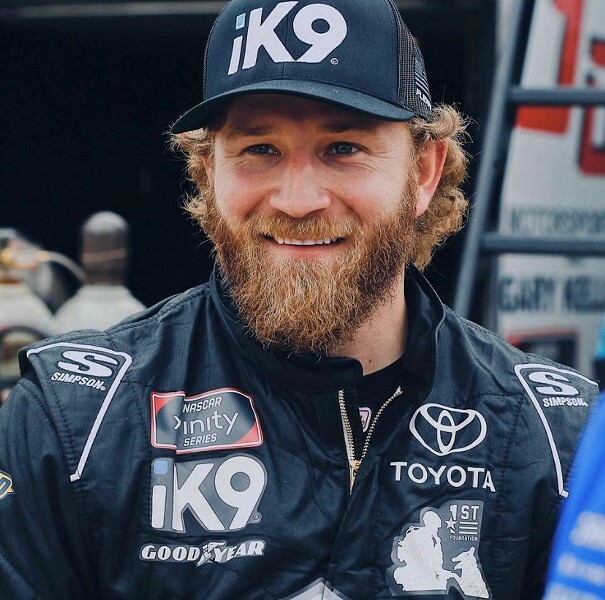 Jeffrey Earnhardt is learning to lead. Two top-10 finishes this season and it's only the beginning. 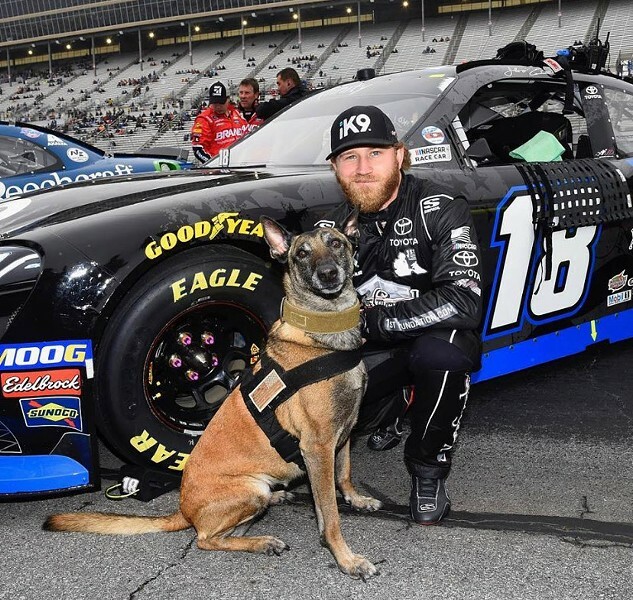 Mooresville, N.C. | 29-year-old Jeffrey Earnhardt is the grandson of seven-time NASCAR Cup Champion Dale Earnhardt and nephew of one of this generation's most popular drivers, Dale Jr. Despite bearing the name of NASCAR royalty, Jeffrey Earnhardt is paving his own path to success. Jeffrey has set out to prove himself as a driver, opening this season with a new team, new look, and new attitude. A career-best start, Jeffrey has landed two top-10 finishes in his first three races this year. Later this month, Earnhardt will compete at Talladega Superspeedway, NASCAR's biggest and baddest track. Talladega Superspeedway marks its 50th anniversary this year, April 27-29. This event is known worldwide for its historic racing moments and weekend-long parties. NASCAR fans will be traveling from far and wide to witness auto racing’s best drivers and take part in the festivities. Talladega is the longest NASCAR oval with a length of 2.66-miles. This track also has the record for the fastest recorded time by a NASCAR vehicle on a closed oval course, with the record of 216.309 mph set by Rusty Wallace on June 9, 2004. Home to NASCAR, North Carolina is known for breeding some of the best drivers in the sport. The Earnhardts are arguably one of the most well-known racing families to ever compete. However, Jeffrey hasn’t depended on his famous last name for opportunity. Jeffrey, a lifetime resident of Mooresville, has made a name for himself and is determined to prove he belongs. Creating his own company and working his way through the ranks as his grandfather did. 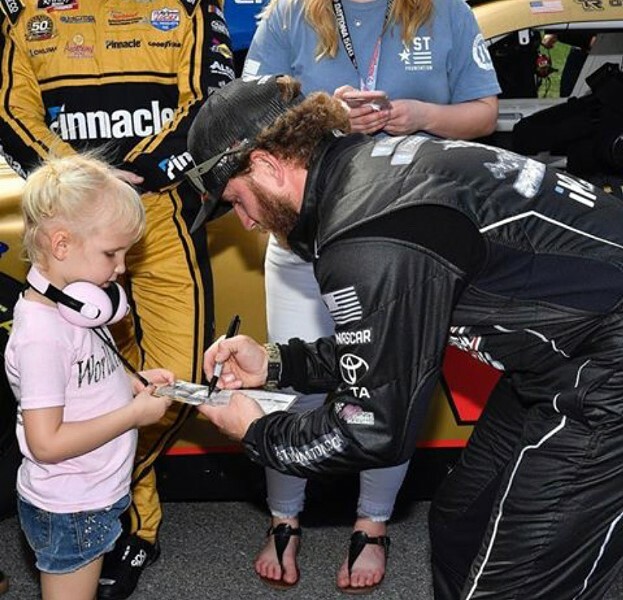 The youngest Earnhardt driver has amassed more than 150 starts across NASCAR's three national series - Cup, Xfinity, and Trucks. After a longstanding tradition of Earnhardt's in Chevrolet, we have an Earnhardt in a Toyota. In a recent interview, Jeffrey explains that the relationship began last year when he drove a Toyota for the Gaunt Brothers in a few select Cup races. This racing season, Jeffrey will contest nine total Xfinity races with Joe Gibbs Racing (JGR). Jeffrey is driving with the new Xtreme Concepts Racing team (XCI), which has a technical alliance with (JGR). In February, Jeffrey finished (15th) in his debut with JGR in Daytona where he led 29 laps that afternoon, more than Earnhardt had led in his previous 66 starts combined. One week later, Jeffrey competed in Atlanta and showed no signs of slowing down. Earnhardt’s sixth-place result at Atlanta was his best career finish across 153 combined starts in the Monster Energy NASCAR Cup Series, Xfinity Series, and Gander Outdoors Truck Series. Last month, Jeffrey delivered an eighth-place finish for XCI Racing’s Debut at Texas Motor Speedway driving the #81 car. “We are taking a very deliberate and methodical approach to becoming a NASCAR team,” Landon Ash, founder of Birmingham, Alabama-based Xtreme Concepts and owner of XCI Racing, said in a media release. Jeffrey is off to a strong 2019 start and has his sights set on becoming a NASCAR Champion. Do 👏not 👏sleep 👏 on Jeffrey Earnhardt! I’m happy Jeffrey Earnhardt is with JGR in the Xfinity Series. He can show off his talents in great equipment. Keep up with Jeffrey on Facebook and Twitter! Tickets for Talladega are available now! Buy early for the most savings! Shop HERE. 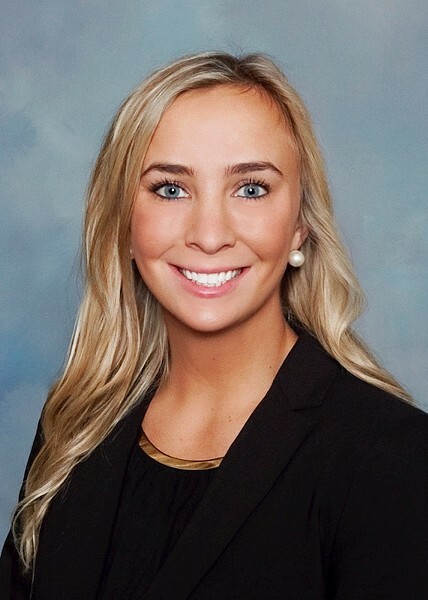 Follow Creative Loafing Contributor, Mia Chamberlain on Twitter HERE.